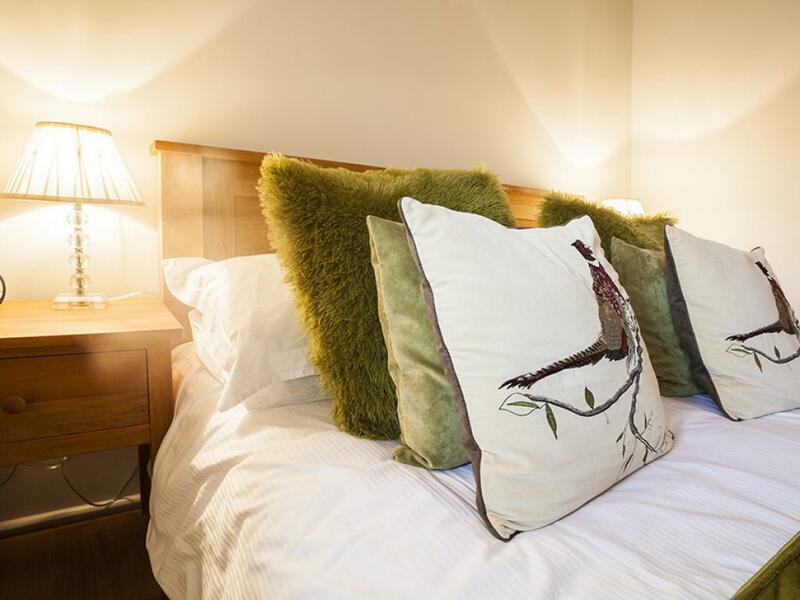 Located on the first floor, Guest Room Four is decorated in elegant contemporary colours, it has a sumptuous double bed with luxurious duvet and pillows. 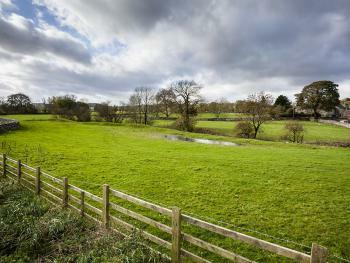 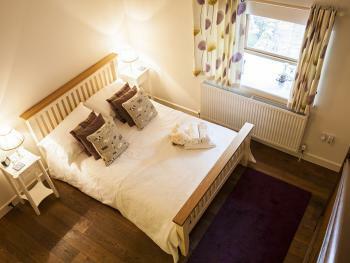 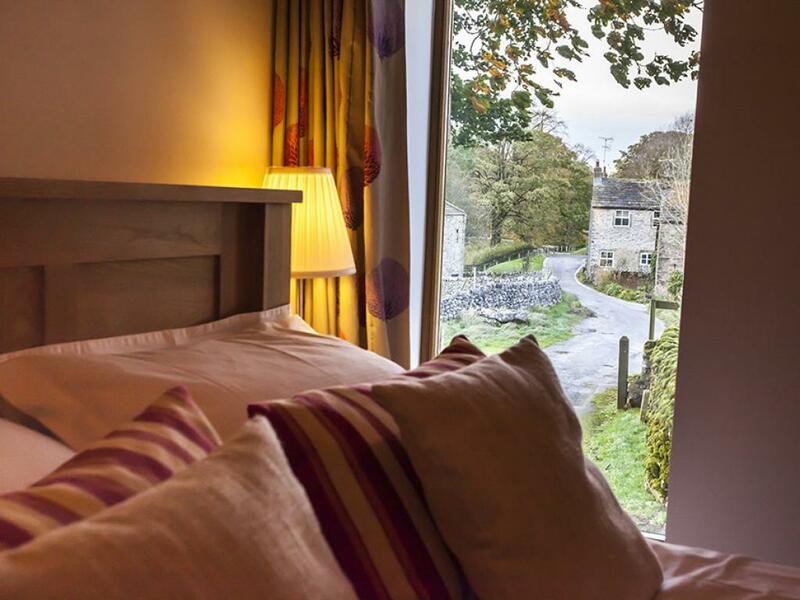 The room has a delightful view towards Linton's village green. 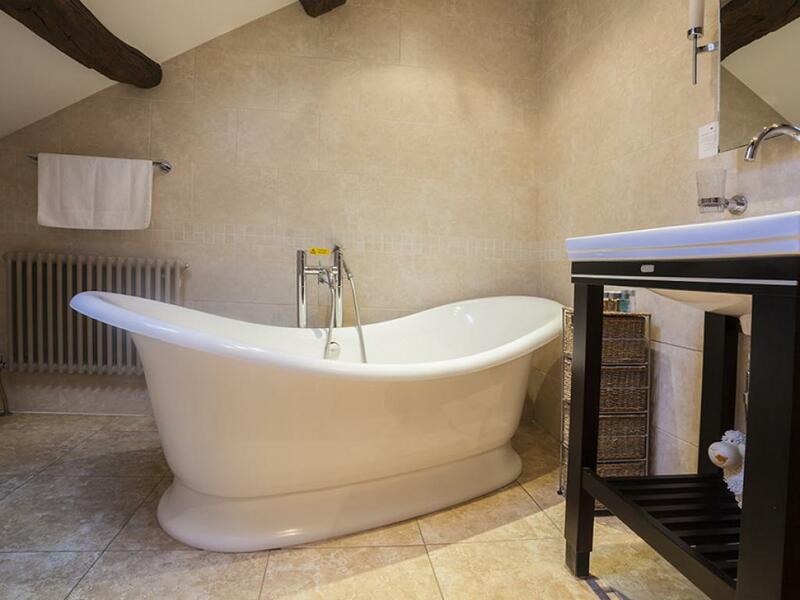 There are several steps up to the spacious ensuite bathroom with traditional roll-top bath and shower over. 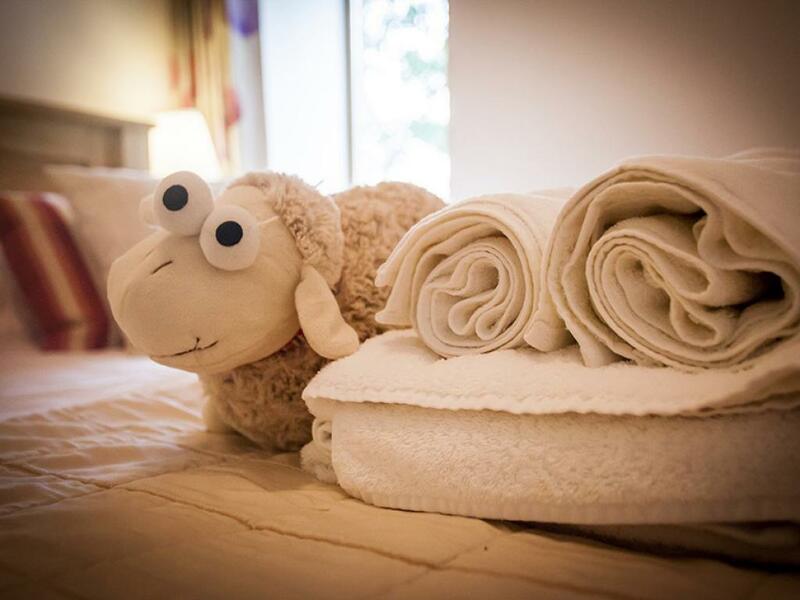 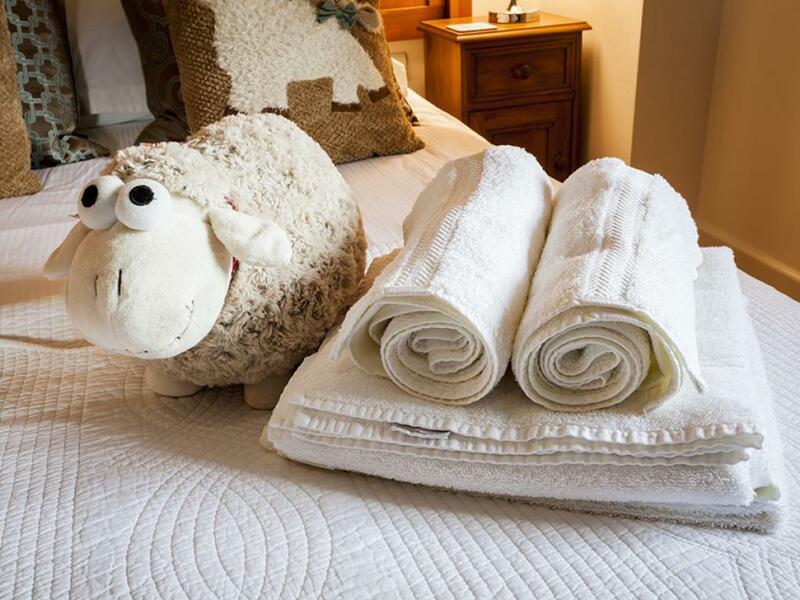 There are fluffy white robes and towels to help you truly relax. 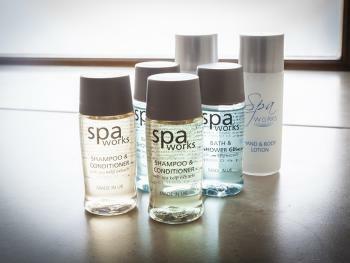 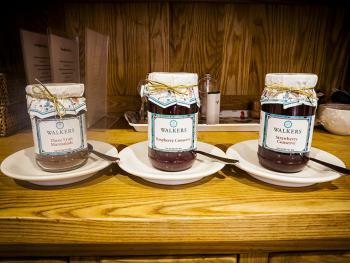 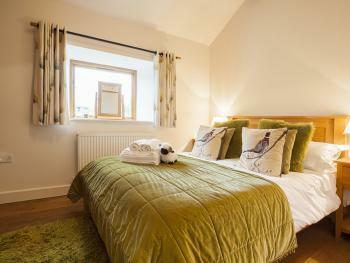 A comprehensive range of environmentally-friendly toiletries, and a hairdryer are also provided for your convenience. 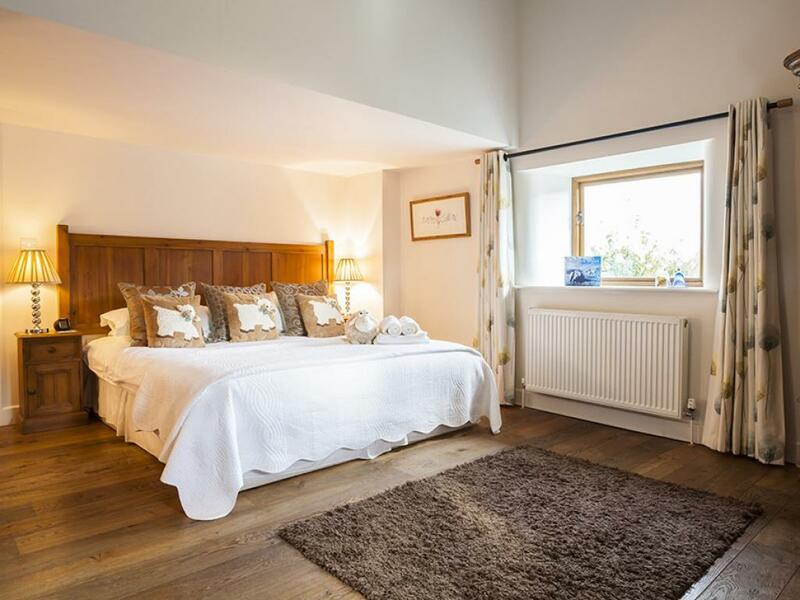 Located on the first floor and decorated in a contemporary country style, our master bedroom has a sumptuous super king size bed with luxurious duvet and pillows. 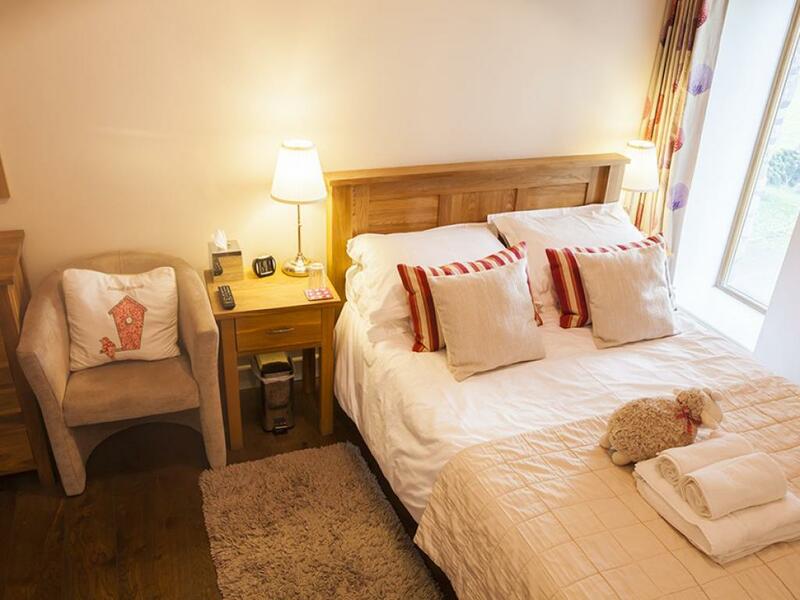 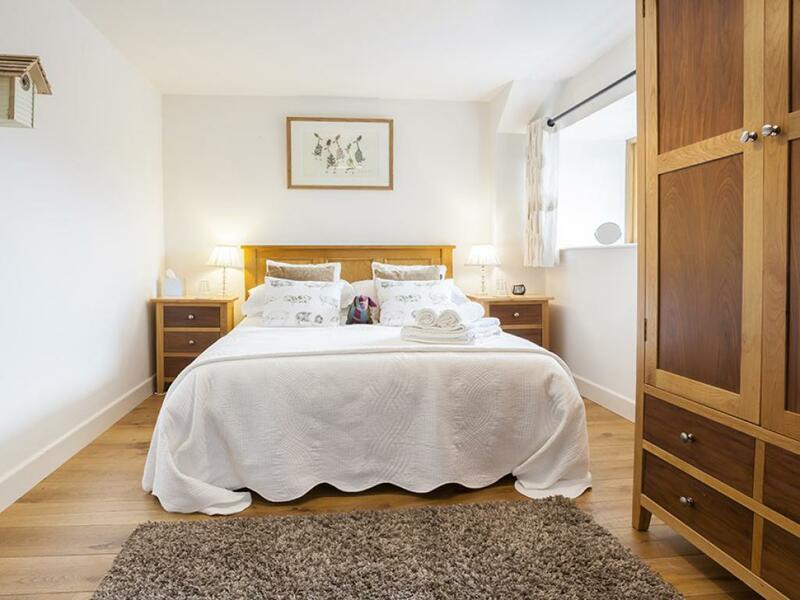 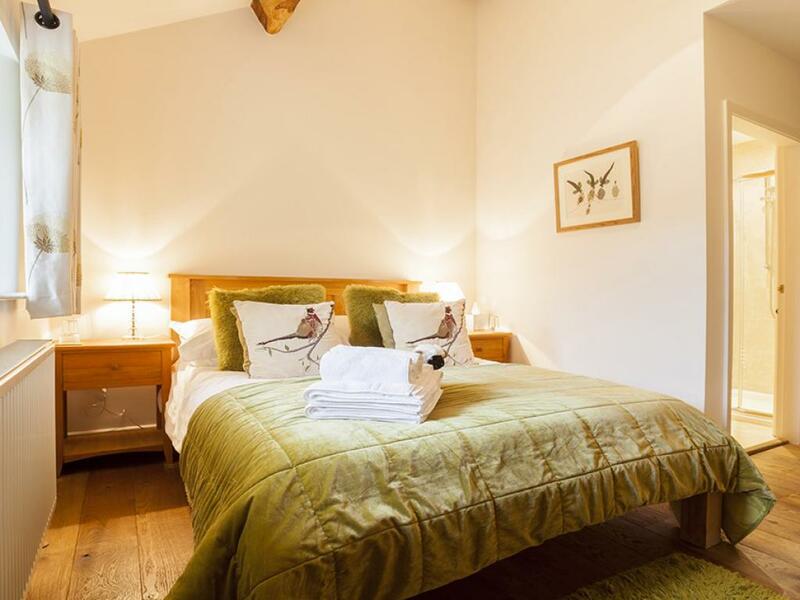 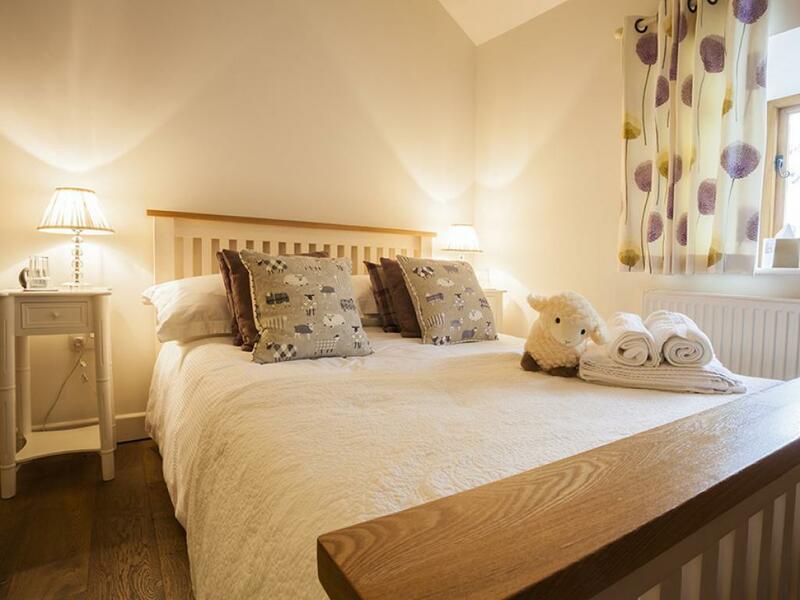 Adjoining the bedroom is a cosy sitting area with comfortable armchairs and dramatic country views towards the village of Thorpe, providing the perfect place for you to relax after a day exploring or sightseeing in the beautiful surrounding countryside. 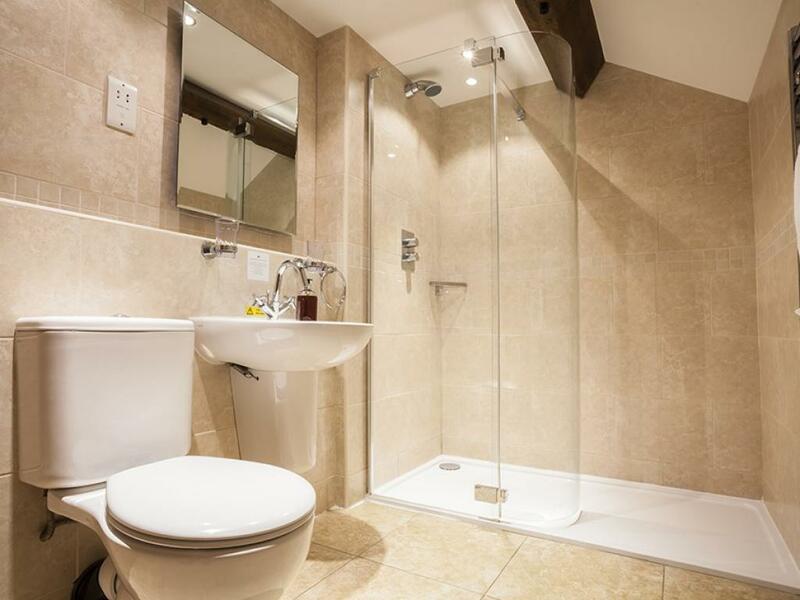 A staircase leads you to a spacious en-suite bathroom with luxurious double power shower complete with fluffy white robes to help you truly relax. 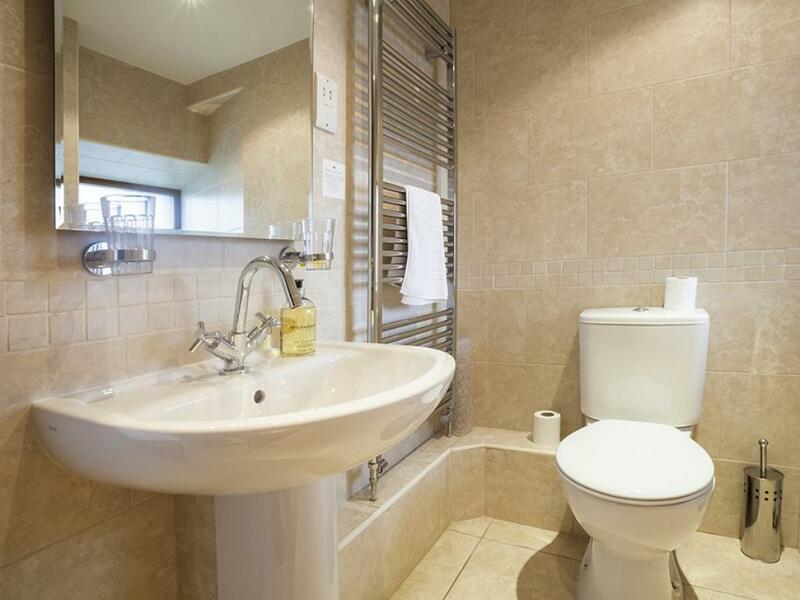 A comprehensive range of environmentally-friendly toiletries and a hairdryer are also provided for your convenience. 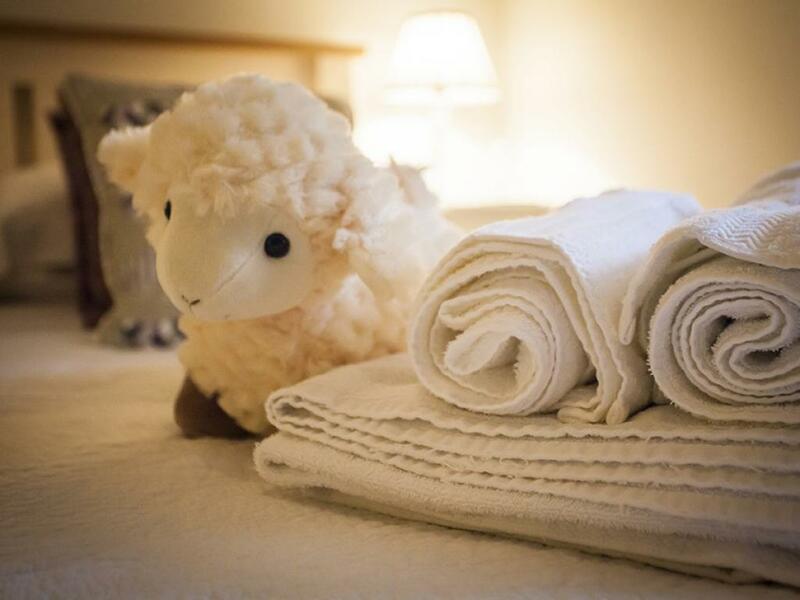 A tray of thoughtfully chosen teas and coffees, Yorkshire biscuits and Yorkshire spring water are also provided together with fresh milk upon your arrival. 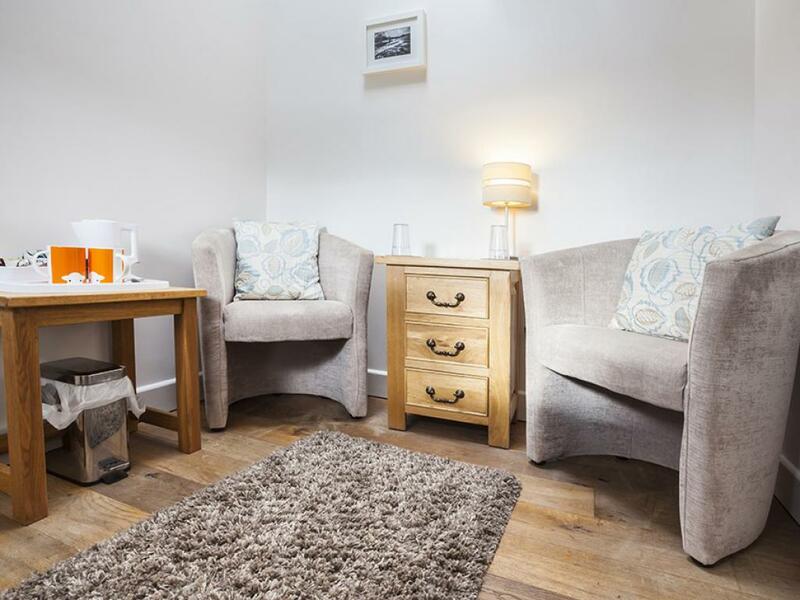 If you can't completely escape your business or just need to keep in touch with friends and family, there's Linton Laithe free wi-fi for your laptop or smart phone. 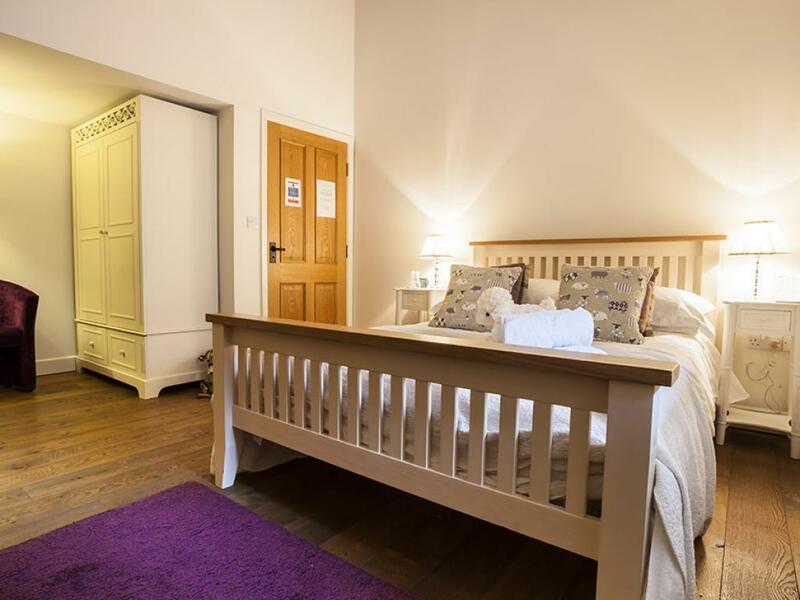 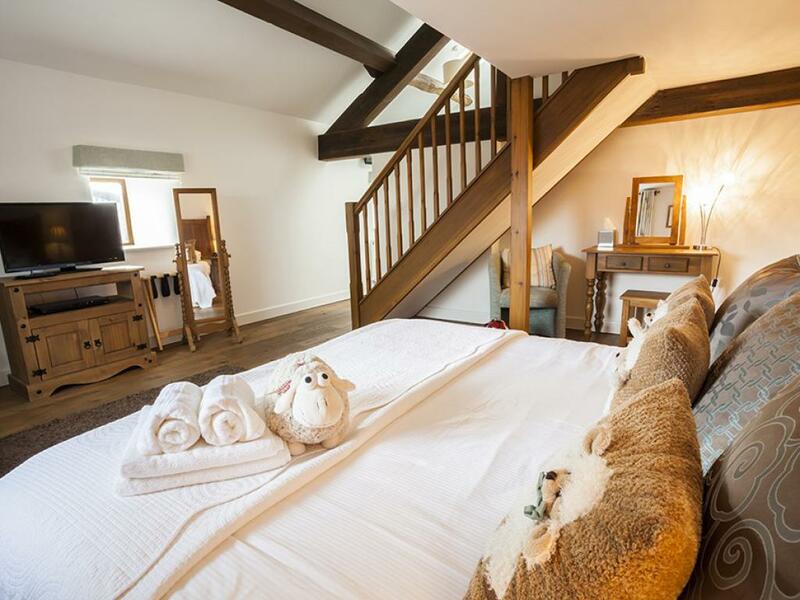 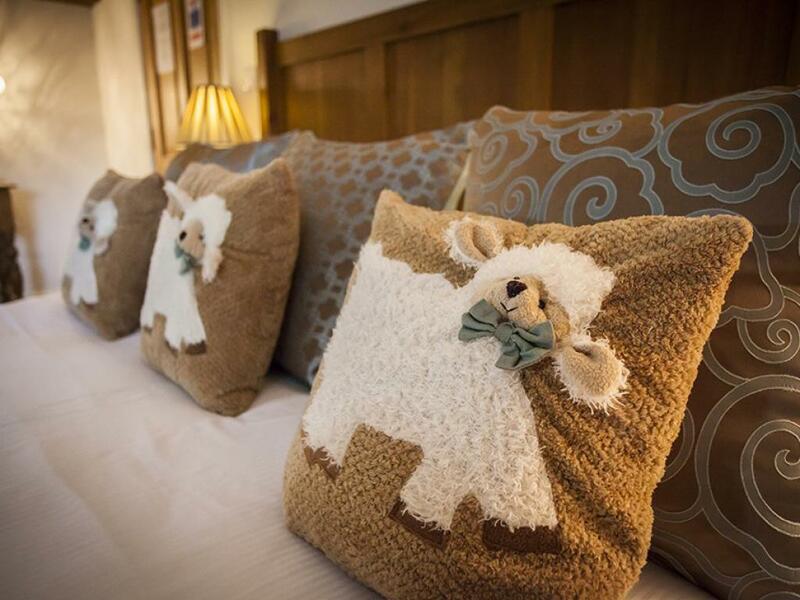 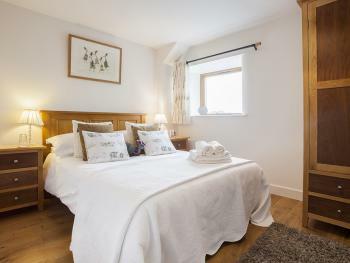 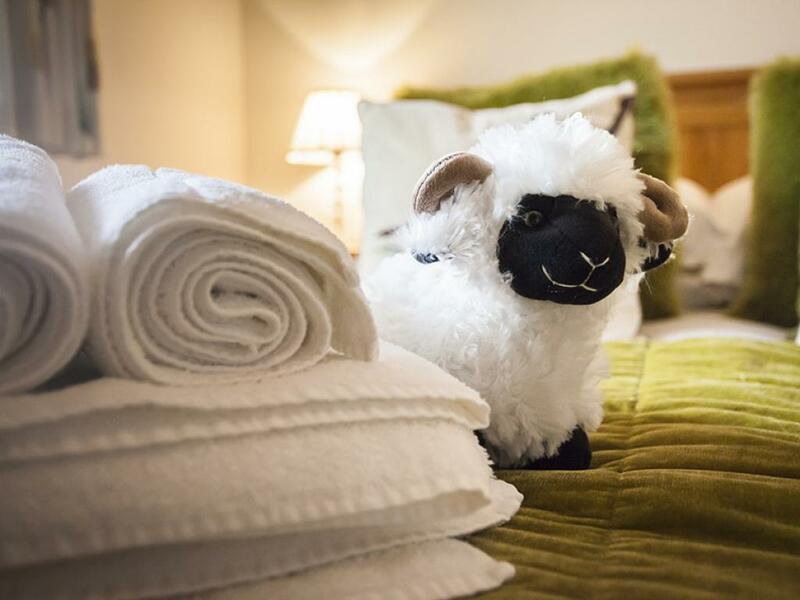 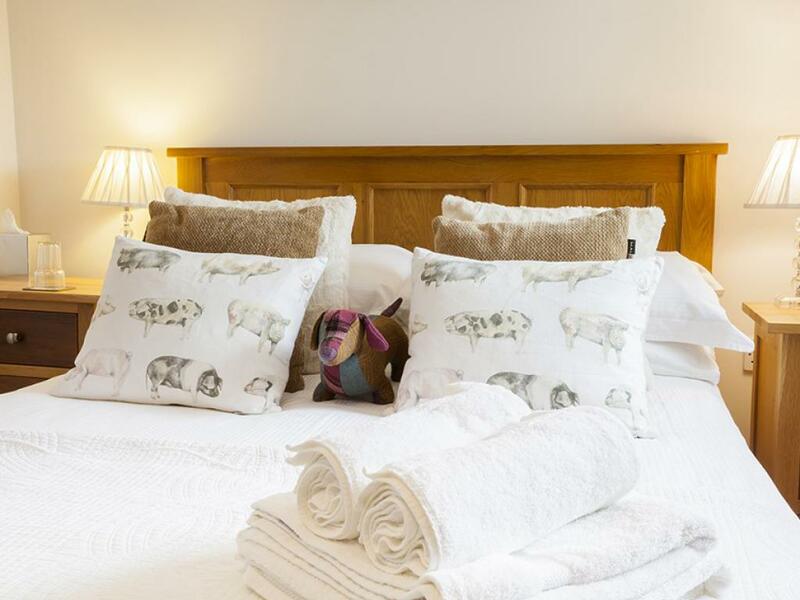 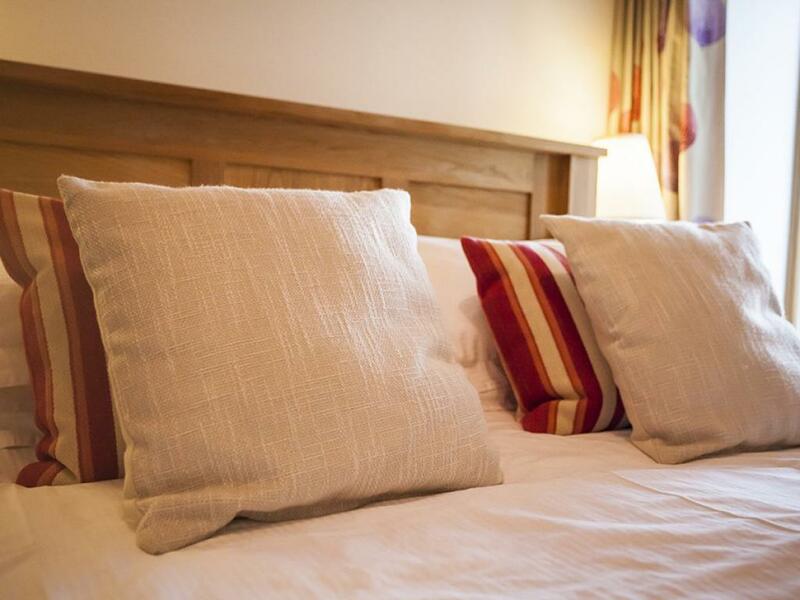 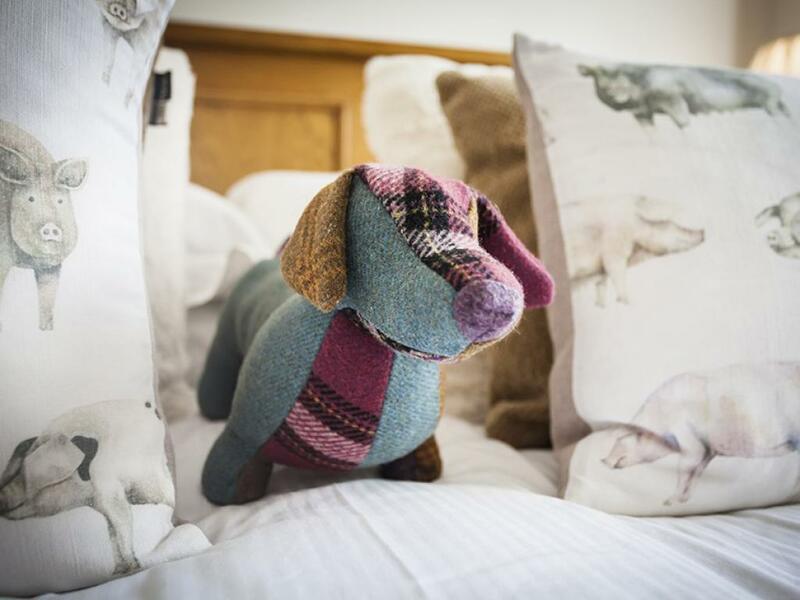 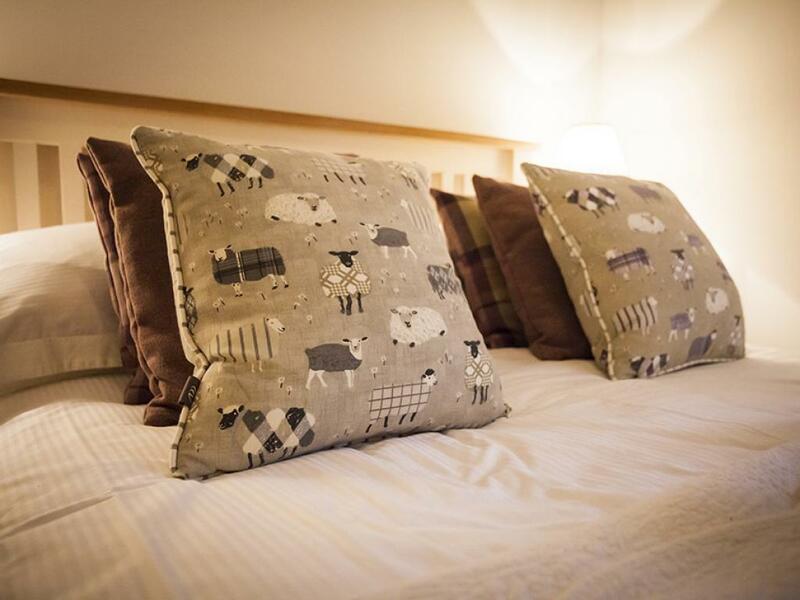 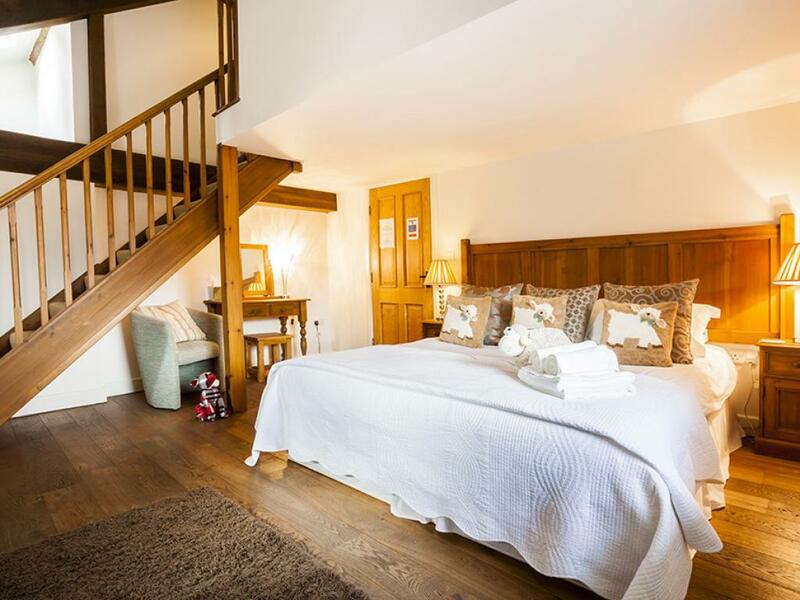 Located on the first floor our Swaledale Room has a sumptuous double bed with luxurious duvet and pillows, matching white furniture. 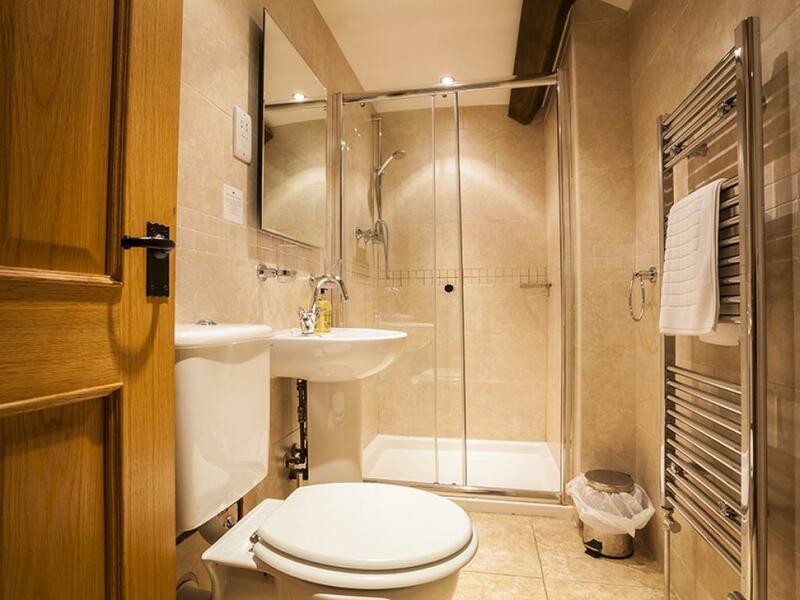 A staircase leads up to a spacious en-suite bathroom with luxurious double power shower as well as fluffy white robes and towels to help you truly relax. 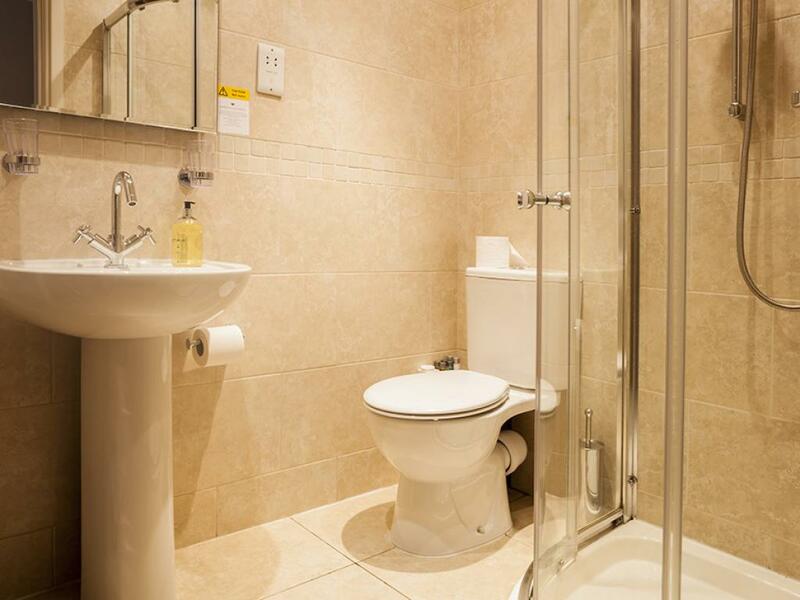 A comprehensive range of environmentally-friendly toiletries and a hairdryer are also provided for your convenience. A tray of thoughtfully chosen teas and coffees, Yorkshire biscuits and Yorkshire spring water are also provided together with fresh milk upon your arrival. 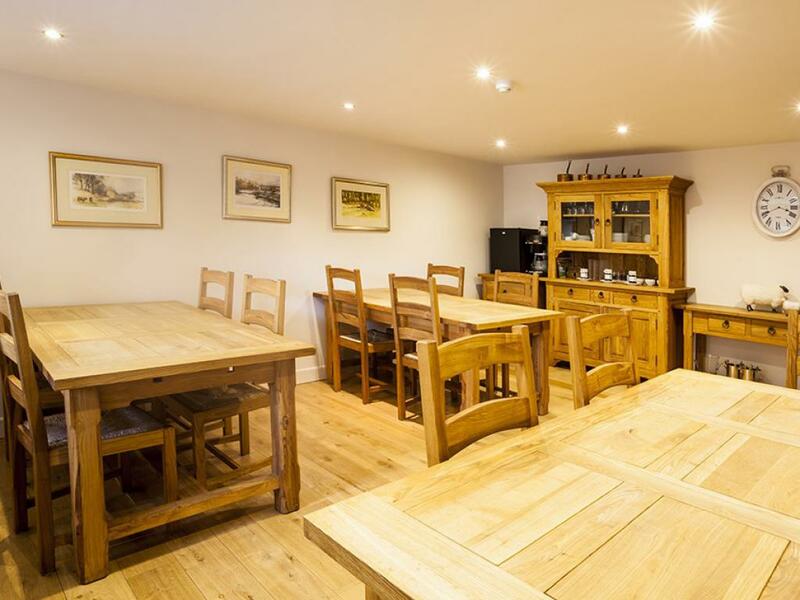 If you can't completely escape your business or just need to keep in touch with friends and family, there's Linton Laithe free wi-fi for your laptop or smart phone. 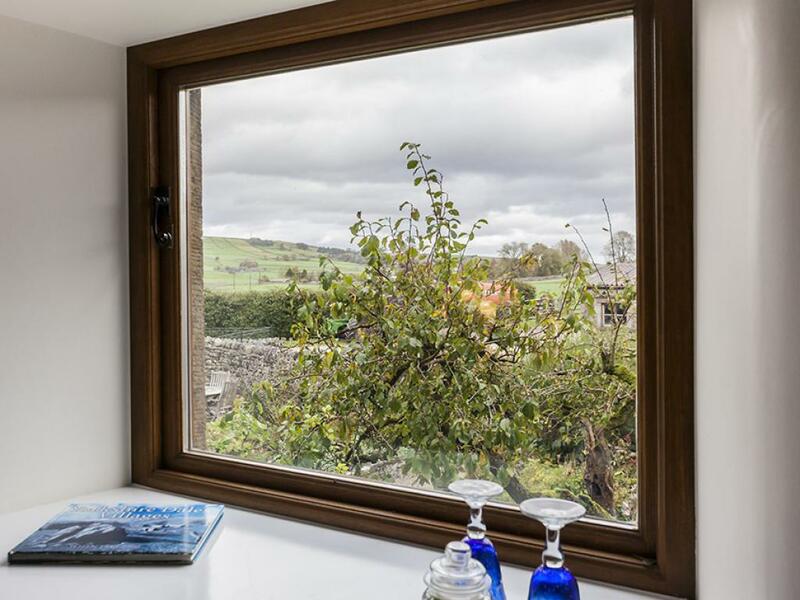 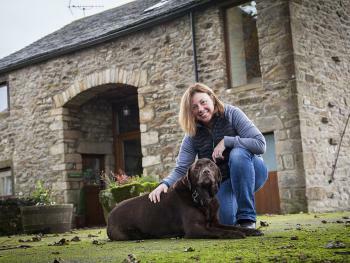 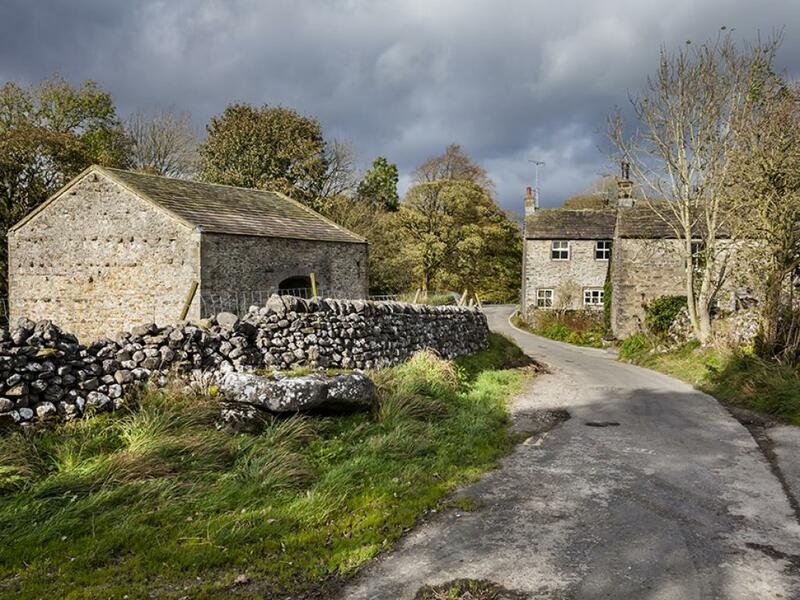 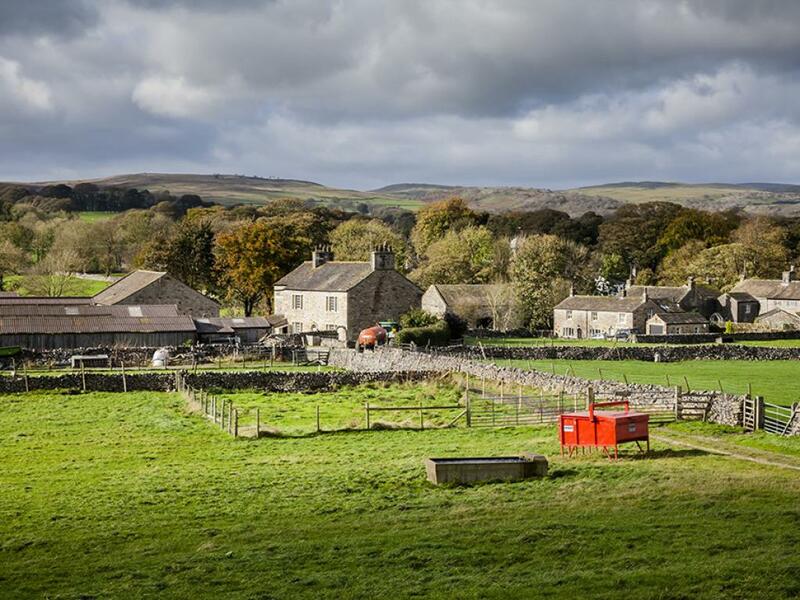 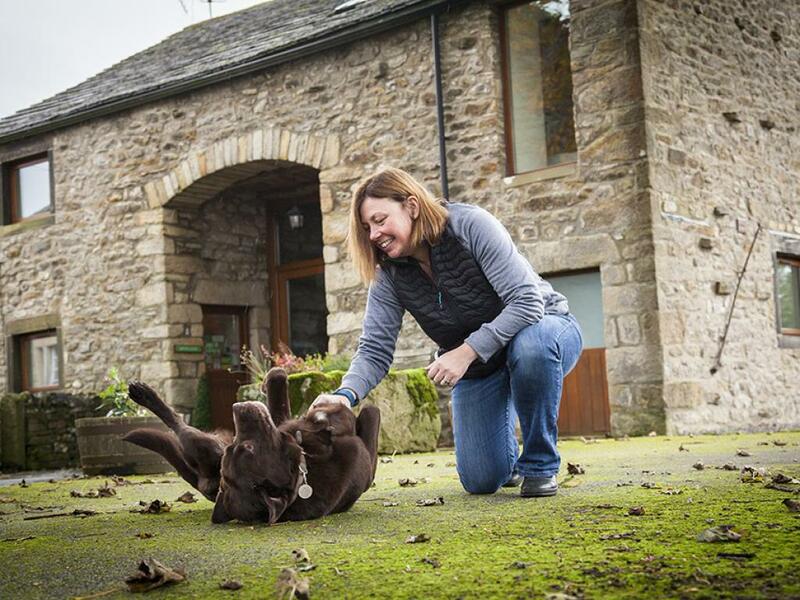 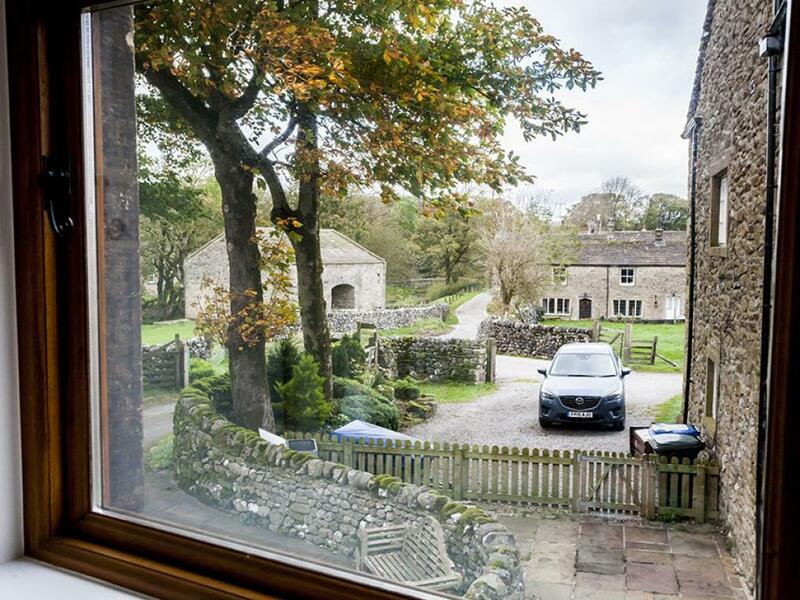 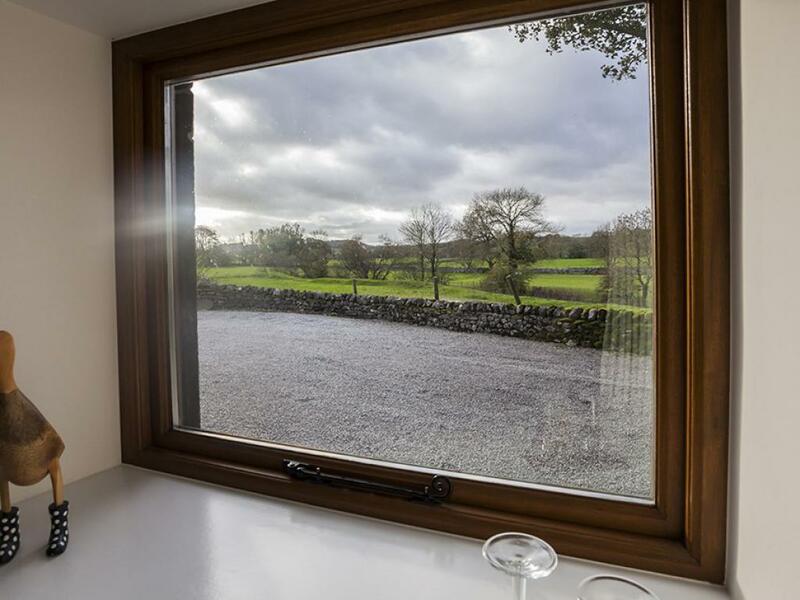 We are lucky that our luxury Bed and Breakfast in the Yorkshire Dales is situated in one of the prettiest villages in Wharfedale, Linton sits around the large green, which gently slopes down to the beck running through the middle of the village. 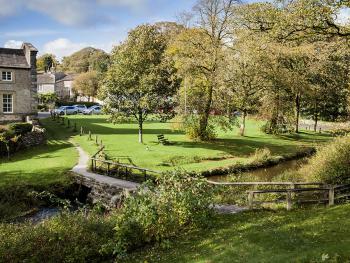 With a population of ducks, it's a lovely spot to while away an afternoon feeding the ducks and relaxing in the sunshine. 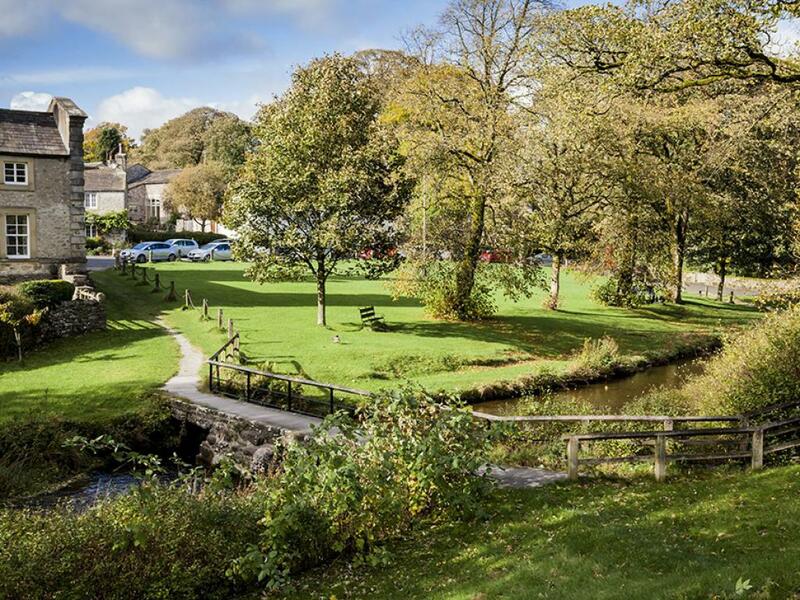 Facing the green is the renowned Fountaine Inn, an attraction in its own right and deservedly so. With a selection of hand-pulled beers, a good wine list, and excellent menu, it has a welcoming and relaxed atmosphere with roaring log fires on chilly days. 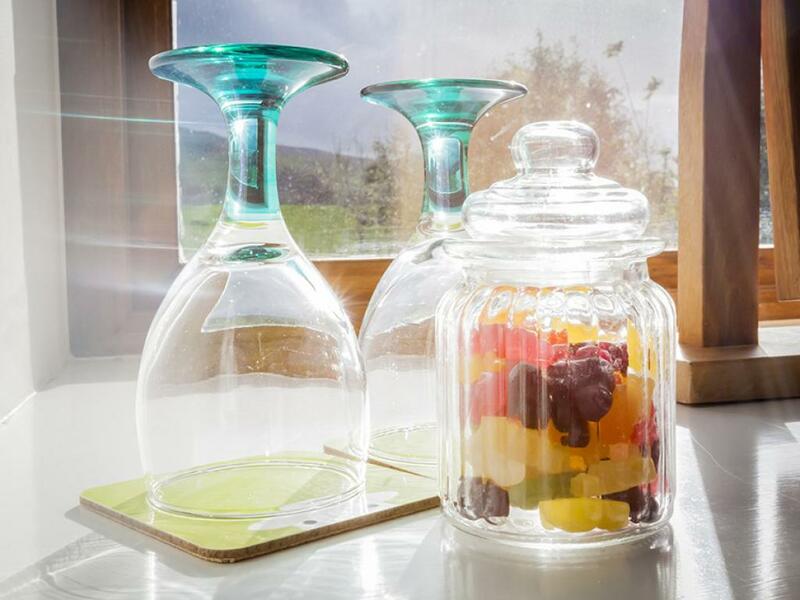 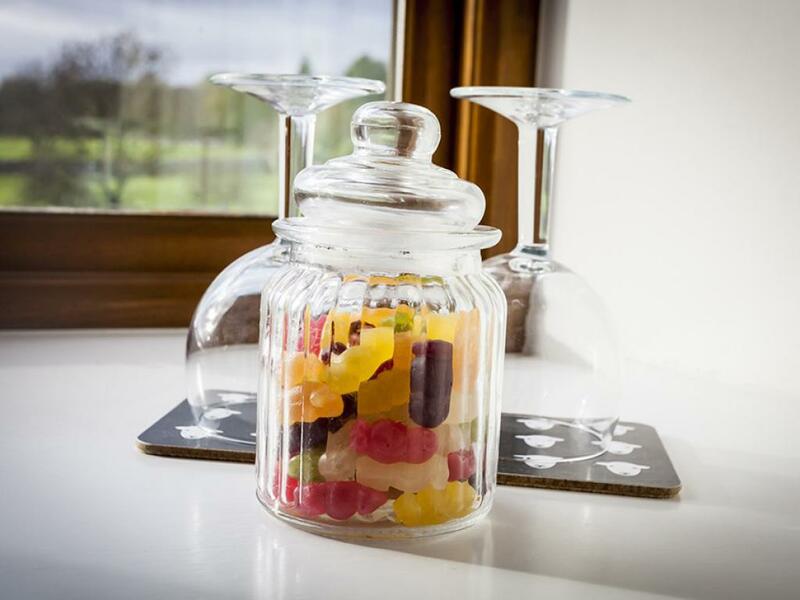 Offering a choice of snacks to enjoy in the snug or on the green depending on the weather and contemporary dining in the spacious restaurant. 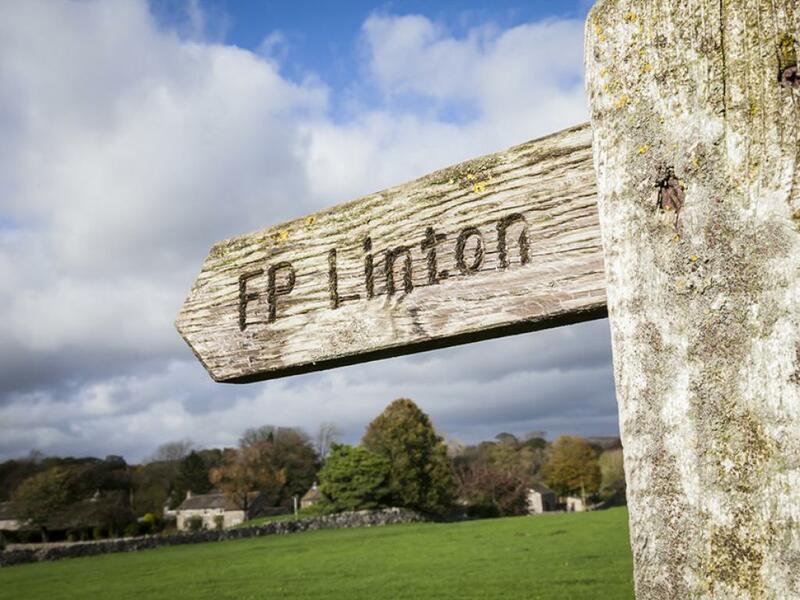 Close by are the incredible Linton Falls, carved through the limestone by the River Wharfe. 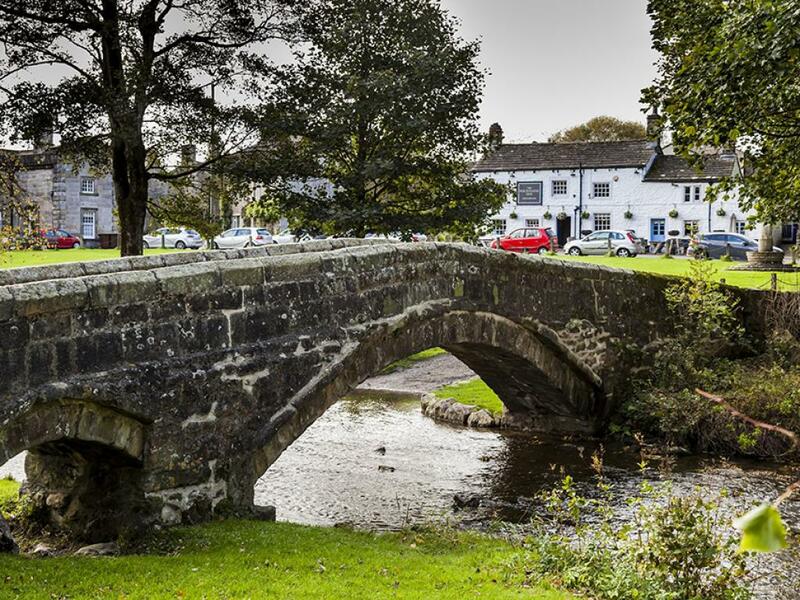 A large footbridge spans the river giving spectacular views of the falls and up river to the weir where the water powered one of the first public electricity supplies in England. 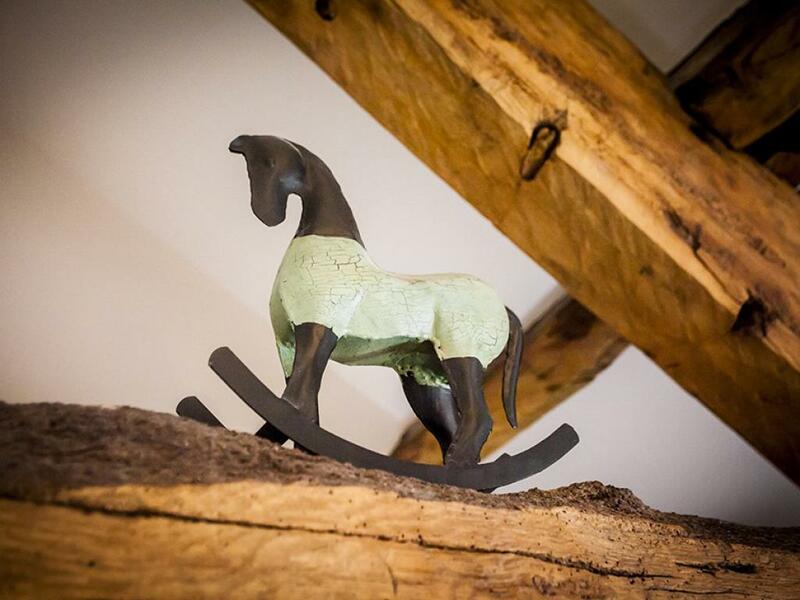 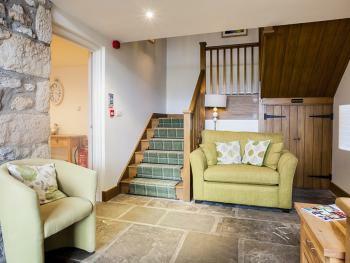 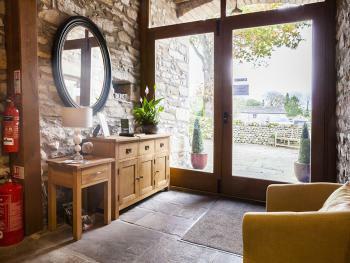 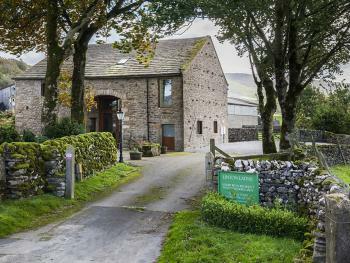 For guests with mobility issues we recommend room 5 Wensleydale as it can be accessed from the main lobby, a 2 cm wooden plinth is across the doorway. 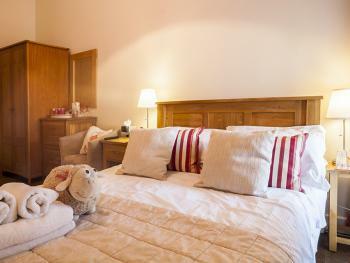 The en-suite facilities are also on the same floor level. From Skipton bypass take the exit from the roundabout signposted Grassington onto the B6265 Grassington Road. 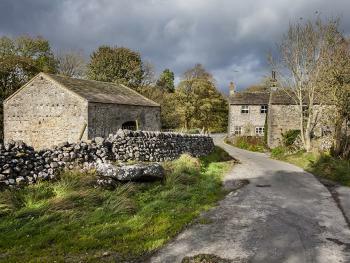 Remain on this road through Rylstone and Cracoe until you come to Swinden Quarry on your left take the next right, signposted Linton. As you enter Linton drive over the bridge and take the next right. 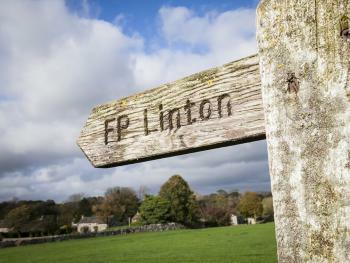 Linton Laithe is at the end of this road.